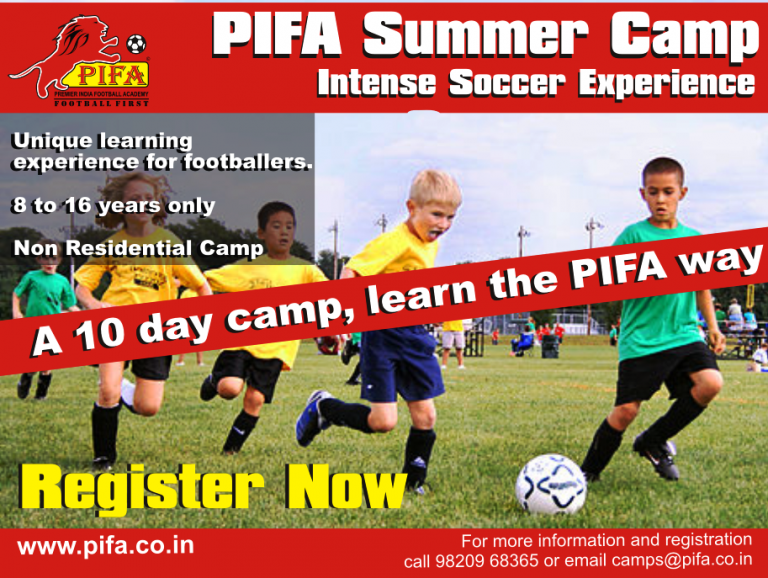 Camp Fees: Rs 5,000 for 5 day camp or Rs 8,500 for 10 day camp. Last Date to fill the form and register for the camp is 27th April 2017. Kindly courier the attached form below along with a cheque in favour of PIFA SPORTS PVT LTD to our office.